In the October 1970 issue of his newsletter Anomaly John Keel mentioned the contactee experiences of Richard Kieninger, founder of The Stelle Group and community Stelle, not far from Chicago, Illinois. In Keel´s view this was another example of the manipulative “elementals” playing games with a credulous victim. 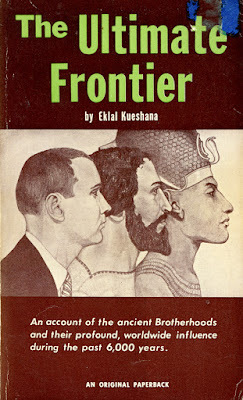 I bought the book The Ultimate Frontier, written by Richard Kieninger under the pen name Eklal Kueshana and was immediately fascinated by his claims of being contacted by an secret brotherhood. Especially as this brotherhood was said to use antigravity aircraft (flying saucers) as part of their activities. 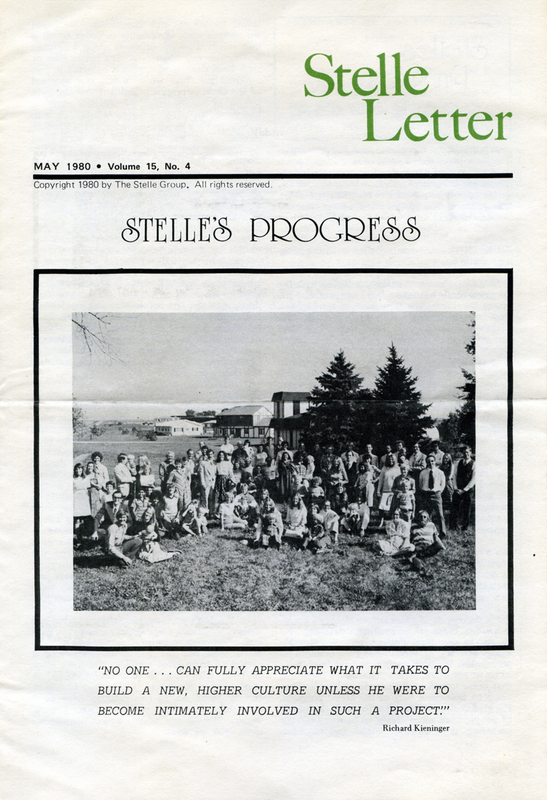 In 1979 I entered several years of correspondence with various representatives of Stelle: Nancy Laub, Gayle Amick, Heather Norris a.o. and also Mr. Kieninger himself. 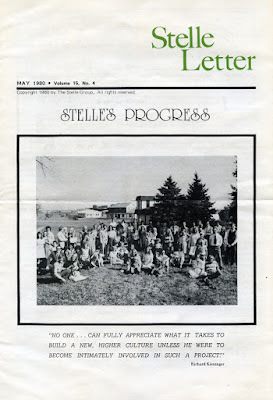 I subscribed to Stelle Letter (later The Stelle Group Letter) and acquired as much data and material I could from the group. 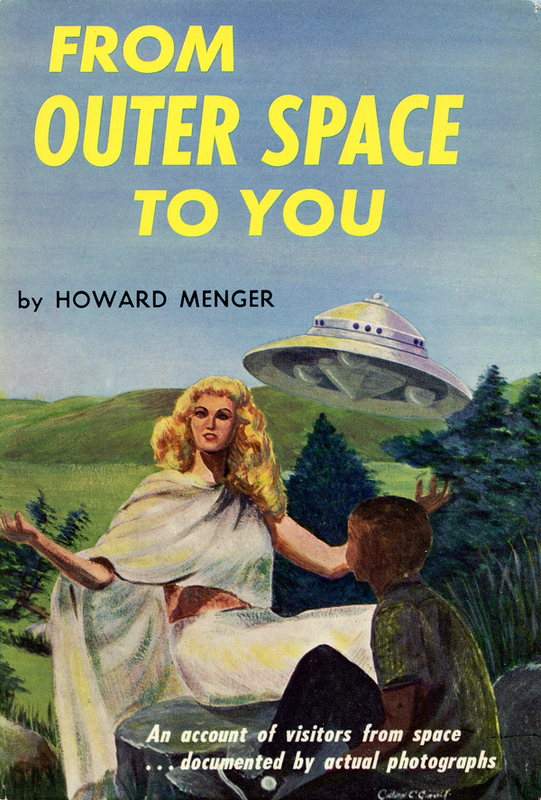 There was one essay, Space Vehicles, Travelers, written by Mr. Kieninger, which I found profoundly intriguing. 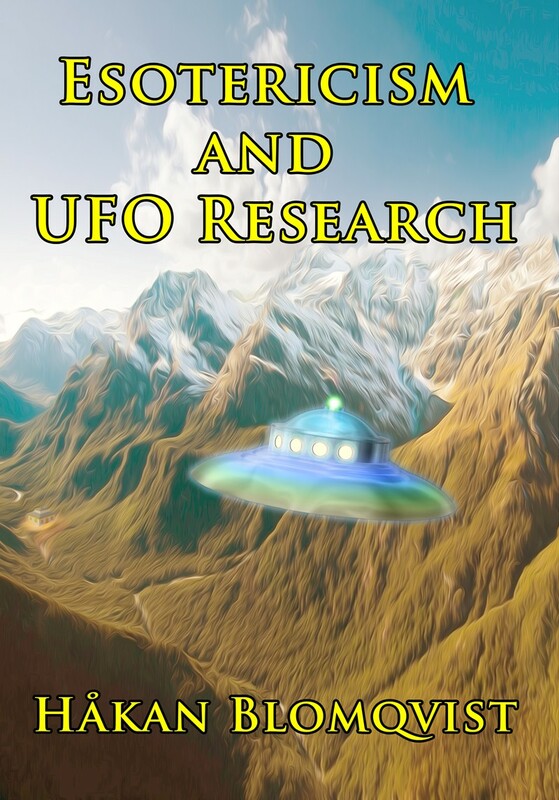 Written originally in 1966 and republished in the booklet Observations (1971) it stated regarding flying saucers: "... some are interplanetary vehicles, others are of earthly origin. The ones which are from this planet are saucer-shaped of generally trapezoidal cross-section with three hemispherical engine pods on the underside. They were first developed by man on this planet about 20,000 years ago and have been used by members of the Lesser Brotherhoods continuously since that time." This of course is a perfect description of the classic George Adamski, Howard Menger scout craft. In a letter to Stelle I asked how the brotherhoods could keep these craft secret. 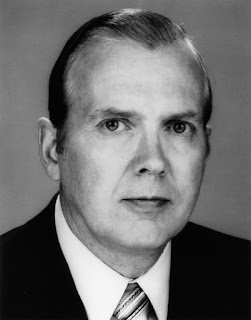 The secretary, Nancy Laub answered: “ He (Richard Kieninger) smiled at your first question regarding the Brotherhoods´ retreats for their flying saucers, and said that there are isolated places in the world which are safe from detection, and the Brothers know where those places are.” (Letter, November 12, 1979). As to George Adamski I received the following answer: "Richard read your letter and article and wanted me (Gayle Amick) to tell you that although he has heard of Adamski, he is not at all familiar with his experiences etc. and therefore could not comment on them". (Letter, June 4, 1979). This statement was an elaborate and somewhat novel addition to the Esoteric Tradition on Vimanas as presented by Blavatsky, Bailey, Laurency a. o. These classic esotericists mention aircraft used by adepts in Atlantis but not in our age. 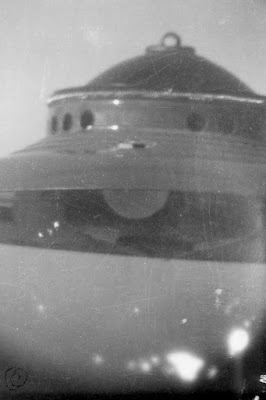 I have only found two additonal sources referring to flying saucers used by secret brotherhoods today. 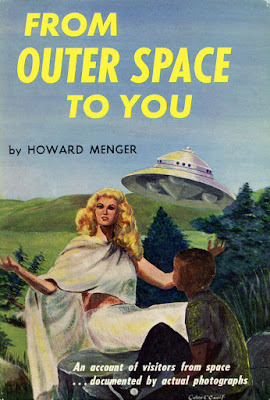 The most well-known is a quote from American contactee Howard Menger´s book From Outer Space To You (1959): “"There are also spacecraft, though of inferior design, which are built by people of this planet. These people are in communication and in service with people from other planets. They are people who possess a high spiritual understanding and have reached an awareness of natural law; therefore they have been entrusted with information enabling them to construct such craft." 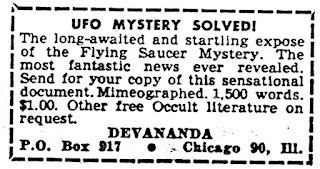 The second source is an obscure article, UFO and the Black Lodge, published in Ray Palmer´s Search Magazine, April 1958 and written under the pen name Devananda. This unknown author states: “Flying Aircraft are as old as Atlantis and Lemuria. They have always moved in our skies and have always been seen by men. Both the White and Black Lodges use them and have always employed them for work in the world… Some are etheric, appearing and disappearing, and some are solid metals. The Adepts themselves, or their pupils, are often at the controls, but more commonly robots are used.” I have for many years tried to find the real name of Devananda, without success. 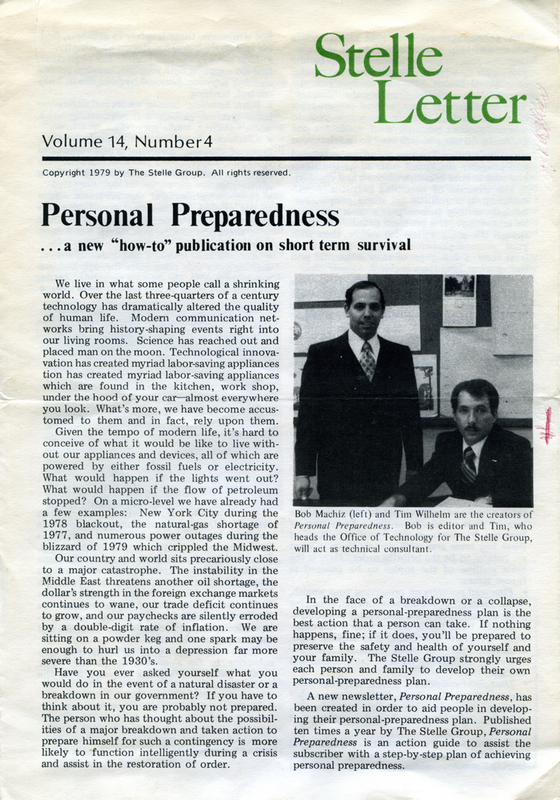 In 1985 I wrote to Palmer Publications in Amherst, Wisconsin but their files and records from the 1950s “are no longer aviable”. 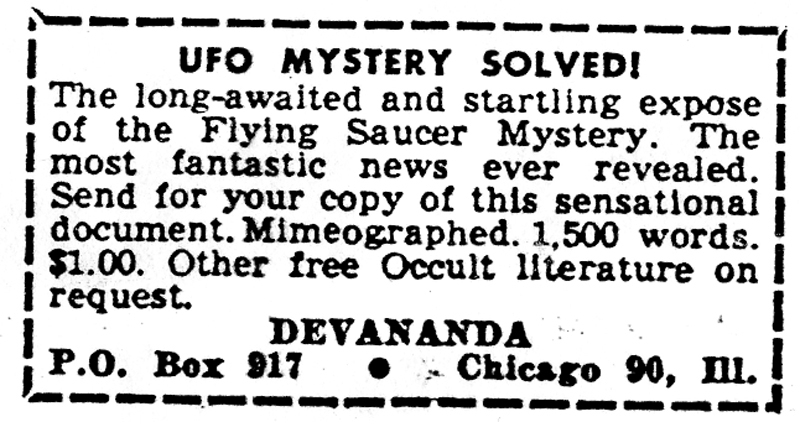 The small ad published in Fate Magazine, January 1957, indicates that Devananda lived in the Chicago area. 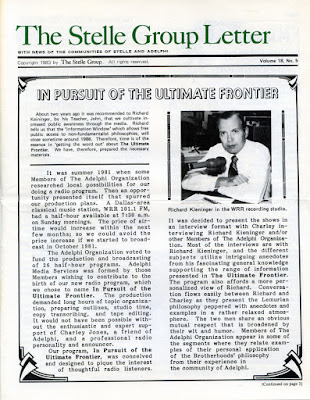 Because of my continued interest in Stelle and its activities I received a personal letter from Richard Kieninger on March 5, 1986. It was a kind invitation to become an Affiliate: "It is apparent from your purchase of Stelle Group Publications that you are seriously interested in your character development and spiritual growth... I would like to invite you to take part in The Stelle Group´s Affiliate Program... Enclosed is information about becoming an Affiliate and an Application Form which I invite you to complete and return to us... Whatever your decision in this matter, I appreciate your sincere interest in improving humankind by uplifting yourself, Hakan. You´re helping to make the world a better place." I declined the invitation but kept on studying Stelle publications. So what are we to make of Richard Kieninger and his contact claims? They are very similar to the space people contacts of George Adamski, Howard Menger and Daniel Fry but are instead referred to as Brothers belonging to an earthbased secret society. Kieninger occasionally run into these Brothers and receive instructions. 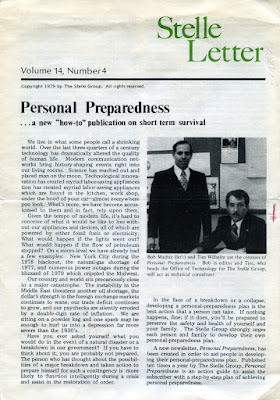 In an article A Day In the Life of a Brother, published in The Stelle Group Letter, July-August 1985 Richard narrates: "There hasn´t been a large sampling of Brothers I´ve run into... They don´t tell me what They do for a living, and their work for the Brotherhoods may be quite separate from Their everyday work to earn a living. The one Brother with whom I´ve had most contact is John, who I met in Arizona... I´ve seen the car He drives, but He doesn´t want me to see the license plates." Much new information and a whole new perspective on Richard Kieninger and Stelle appeared in 2008 when I started corresponding with Mr. Walter Cox, one of the original residents of Stelle, where he lived between 1971-1976. Walter was very close to Kieninger for many years. I found his name as he answered questions on cults on Answers.com and asked him many things about Stelle which later changed into private correspondence. Unfortunately his answers on Stelle and Kieninger has today been deleted from the site. There is now a very interesting website, The Stelle Experience, with interviews of old and new Stelle residents. Walter Cox is interviewed in a four-part one hour series. 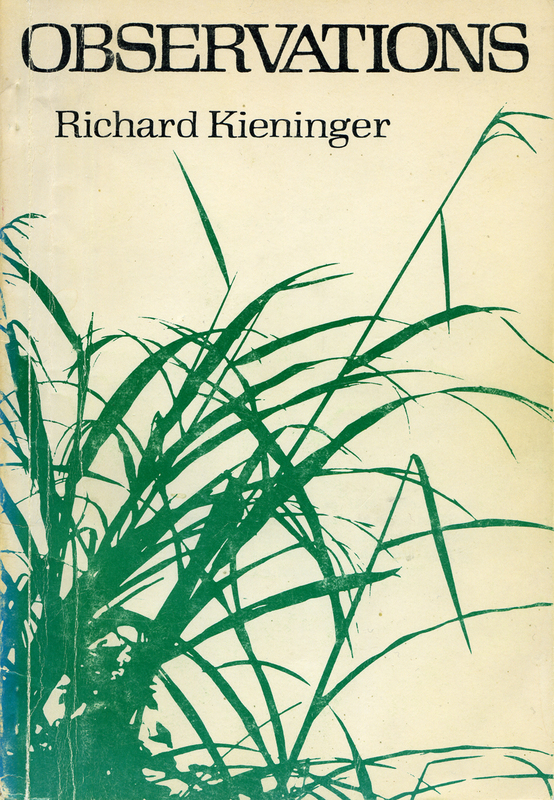 In the 1950s Richard Kieninger was a student of the Lemurian Fellowship in Ramona, California. 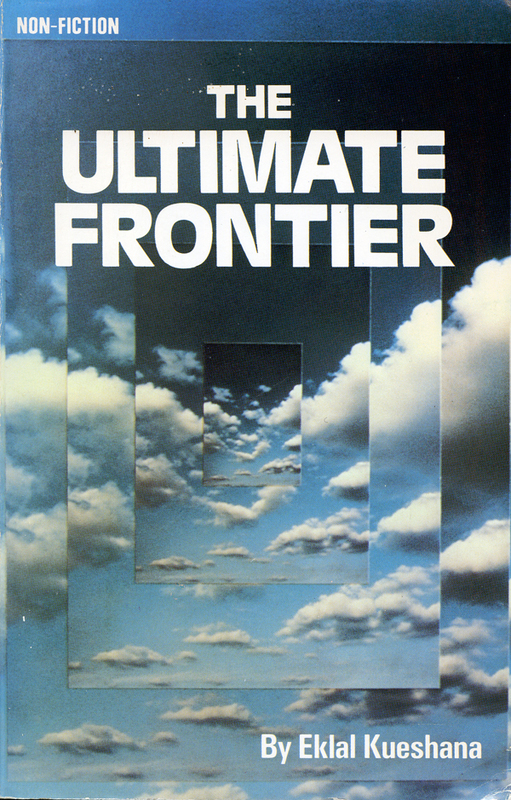 He gleaned most of the content of The Ultimate Frontier from lesson material published by this organization. He was then expelled from Lemurian Fellowship and accused of plagiarism. In 1963 Richard formed The Stelle Group in Chicago which eventually led to the founding of the Stelle community in the beginning of the 1970s. Because of his behavior Richard was asked to leave Stelle in 1975 and again in mid 1980s. He had seduced both married women and young unmarried women. Eventually he founded a second community in Adelphi, Texas, where he spent the rest of his life. He died in 2002. So Richard Kieninger was just another religious rogue, fraud and trickster - or was he? Walter Cox narrates a very intriguing experience that may give a somewhat more balanced view of Kieninger. An independent verification supporting Richard´s claim of a Brotherhood source. The story was told to Walter Cox by one of his old friends in Stelle, a man he trust and who is not known for spinning tales. Walter gives him the alias Victor but he has confidently told me his real name. Victor had spent many years of hard work at Stelle but in the 1980s he began wondering about the validity of his achievement and emotionally destitute he voiced a prayer: "Dear God and dear Brotherhoods if you exist, please let me know if this community is for real. Please let me know if I`m just wasting my time here, if I´ve risked my family and everything else for nothing. Please let me know if Richard Kieninger has been telling the truth and if I should stay". Victor went to sleep and the next morning awoke to a telephone call. The voice on the other end said: "Hello, I´m calling in reference to your request for more information.. I´m calling to answer your questions about Richard Kieninger and the validity of your presence in Stelle. Perhaps we can arrange a meeting." A date was set and a few days later a large Mercedes pulled up in front of Victor´s house. An elderly Chinese man and a young man of perhaps fifteen stepped out. To Victor´s surprise it was the young man, Jim, who did the talking while the Chinese waited in the car. The young man said it was his first assignment from the Brotherhoods and he was sent to provide Victor with crucial information. 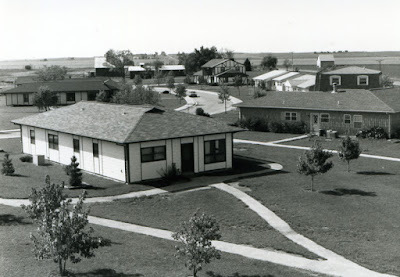 Jim confirmed that Richard Kieninger had indeed been contacted by the Brotherhoods as a young man. But later they came to the conclusion that he would misuse the information and they assigned various "keepers" who tried to limit the damage Richard might cause. Despite Richards fabrications Jim said that Stelle had gained positive attention of the Brotherhoods and had the potential to develop in the planned direction. 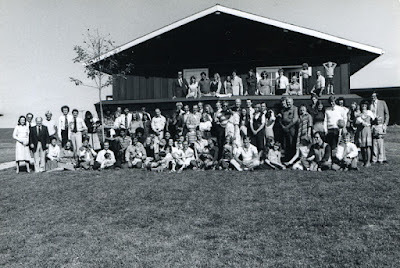 Jim encouraged Victor to stay in the community and help provide leadership at a critical juncture. Because of this visit and information Victor decided to stay in Stelle. In the middle of the 1990s Victor began to question the experience with Jim and with the help of Internet he succeeded to trace Jim´s phone number. When Victor phoned Jim he was surprised that he had been able to find him but he confirmed the information he had provided some years earlier. Later when Victor tried to search the Internet again using Jim´s name all information had been deleted. With the help of Walter Cox I tried to contact Victor by email to confirm the story. Unfortunately I received no answer and I have come to understand that Victor is rather reticent regarding this experience. When comparing Richard Kieningers “Lemurian Philosophy” with The Esoteric Tradition (Blavatsky, Bailey, Laurency) it becomes obvious that Kieninger made a personal mixture of diverse sources. Although there is high idealism and basic psychological soundness in much of his teaching that is in line with esotericism he also used dubious and contradictory sources. In a letter from Heather Norris December 13, 1985 three of Kieningers sources are given: The Morning of the Magicians by Louis Pauwels and Jacques Bergier; The Spear of Destiny by Trevor Ravenscroft; Hitler, the Occult Messiah by Gerald Suster. These works must be regarded as not very reliable, popular occult books. “Alice Bailey´s control, a telepathic hypnotist who called himself Djwal Khul, was a Tibetan Shamballist with the same connections as the two men who seduced Mme. Blavatsky (co-founder of the Theosophical Society) into being their psychic mouthpiece against Western Civilization… Their call to lose one´s will in order to experience closeness to God is a ruse to bring mankind under their control.” This is a total misconception of Theosophy and the teachings of Alice Bailey that Kieninger picked up from The Morning of the Magicians and incorporated later in his own philosophy. 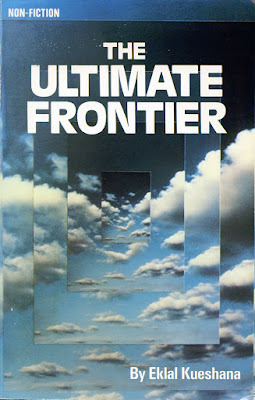 Was Richard Kieninger and Stelle an experiment in “esoteric intervention”, using the terminology of Jacques Vallee? An experiment that was aborted because of Kieninger´s character flaws. In some respects the experiences of Richard Kieninger resembles those of Helena Blavatsky and Alice Bailey who were contacted at an early age and given an assignment to be implemented later in life. If true, the basic question remains: Who gave the assignment?